The obsessive patchworker. In her attempt to gather up what others throw out, her collecting is in danger of becoming hoarding. Piles upon piles of textiles mount up; baskets contain small off cuts and bags of fabric remnants are stuffed into any available gap. 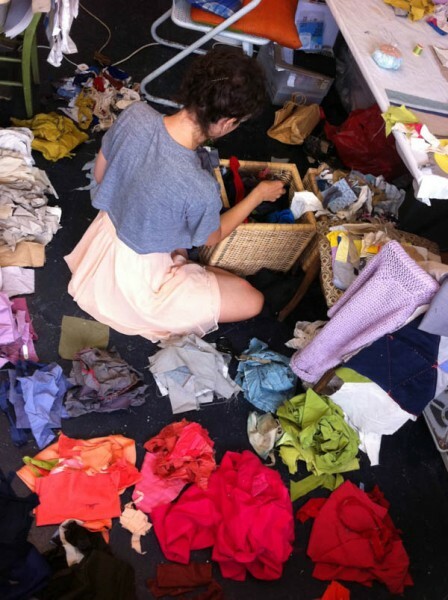 She recovers textiles from fabric waste streams, friends and family. She even picks up clothing she finds dumped on the street. Her collecting is an act of repair. This repair work takes her beyond the boundaries of her own taste and past the context of useless in which she finds these textiles. She sees traces of bodies and makers, a layering of value these fabrics contain, and so she gathers. The obsessive patchworker’s body has developed to make her a proficient gatherer, her eyes have the ability to track down discarded textiles and she has supple limbs that can reach and stretch through piles. She carries large bags on her back or her bike and favours garments with large pockets. These are her tools in the mastery of tracking down textiles. As she tried to defy definitions of rubbish, her own home became a tip, a place where materials accumulate, and lose their individual forms and material properties. Mixed together in this way, each unique piece becomes hard to decipher, as individual object outlines disappear into a murky greyness, like a papier mache paste of clothes and clippings. When kept in this messy bundle, her collected fabrics would cancel each other out, losing the significance of their idiosyncratic details. 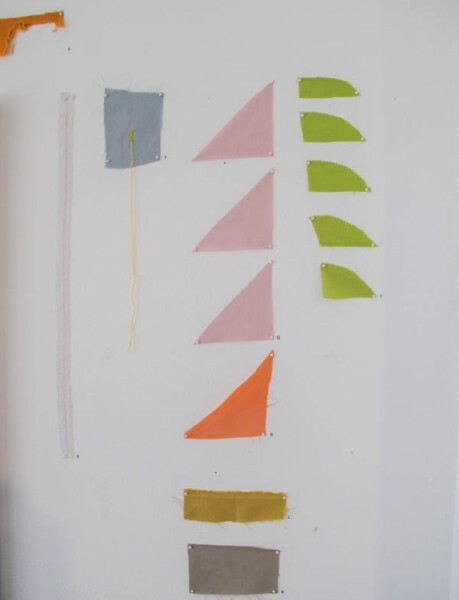 She set about the task of sorting and sifting through the fabric piles, looking to categorise and place the textiles in such a way that their material properties could be celebrated and understood. By folding, rolling and stacking, she created a pallet of found colours. These actions of sorting suggested the potential of joining, so she learnt the techniques of patchwork. 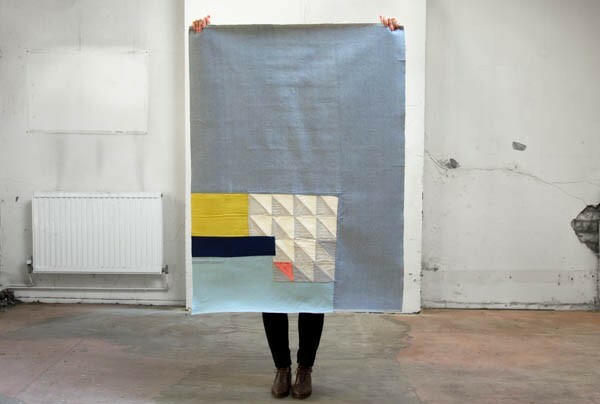 Patchwork or pieced work, involves the sewing together of fabrics using simple geometric shapes in endless combinations of colour and pattern, joined by sustained stitching - the border of each shape being a place of cooperation between one colour and the next. The geometric shapes embedded with personal codes allow many people to work on independent patches that can be joined together - the borders of each shape being a place of cooperation between one person and the next. She began to carry her collected fabrics around with her, stopping in village halls and gardens to join not only shapes, but people together. The patches grew as she that found others had similar collections of clothing and textiles. They began to build row by row, stitch by stitch a social fabric, making communities through the perpetual reworking of cloth.